Happy Monday, Angels! 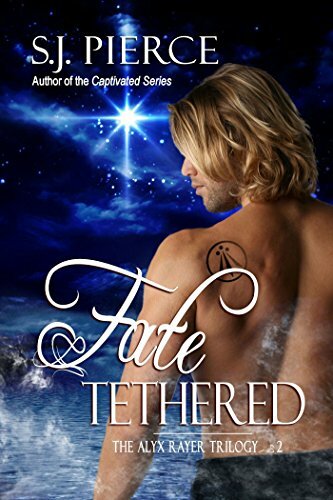 In case you haven’t heard, my amazing publisher, Foundations, LLC, has released Fate Tethered, Book Two of the Alyx Rayer Trilogy, and today’s the big day! Please see below for links to purchase your shiny new copies. Where fate would take the both of them now, Isaac wasn’t sure, but either way their paths were irrevocably tethered. Hurled into the midst of a holy war between the sinister fallen Angel of War and their beloved Creator, gifted humans, Angels, and Spirit Guides unite to create a formidable, ethereal army. With the imminent battle only days away, continue to follow the story that captivated your hearts as a Protector Angel named Alyx struggles with her own inner conflicts between right and wrong, love and honor. Passionate, engaging, and filled with surprising twists and turns — see where fate will lead our beloved Angel next in this second installment of the Alyx Rayer Chronicles. May not be suitable for YA.